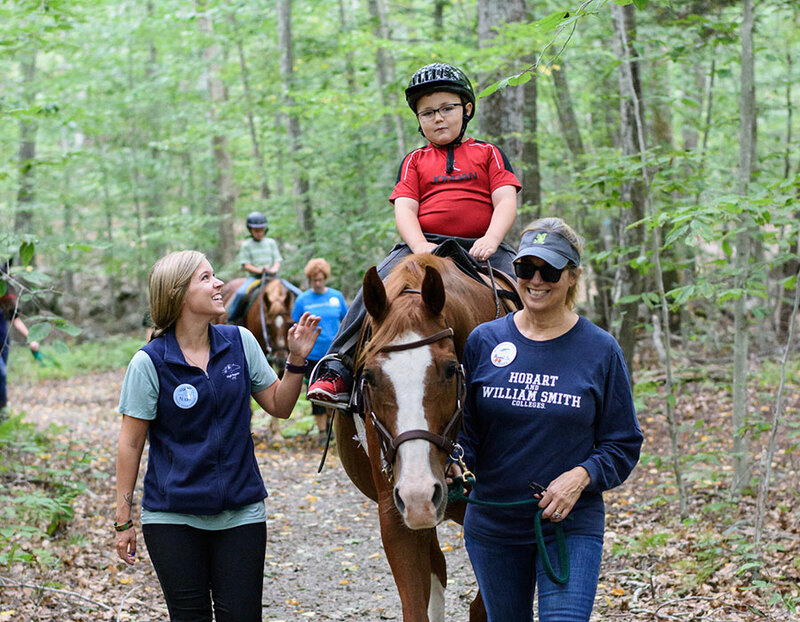 Lectures are designed for the equine professional interested in therapeutic riding, therapeutic riding Instructor-In-Training, and currently, Certified Instructor looking for advancement and continuing education hours. Full and half day lectures are open to volunteers and professionals in the field for a nominal fee and are conducted as part of the PATH International Approved Instructor Training Course. We look forward to having you join us for a mid-winter break in our picturesque New England setting. Kitty Stalsburg, High Hopes Executive Director, PATH Intl. Master Instructor & Sarah Carlson, High Hopes Special Programs Manager, PATH Intl. Advanced Instructor and Certified Driving Instructor. Techniques of effective instructing will be discussed, including teaching strategies, lesson planning and task analysis, and discussion of PATH Intl. standards and guidelines. $65 for one lecture ($45 for the half day Facility, Standards and Risk Management Lecture). Please complete the application form first then call Diana Artiles at 860.434.1974 to pay by credit card. We always want to ensure that we are spending our advertising $$ in the best way possible. So please let us know where you heard about our Winter Lecture Series. There is no requirement to be a PATH Intl. member to attend the Winter Lecture Series at High Hopes.